No pause or event restart! Need for Speed has been around the block a few times. Can this update truly perform the high octane reboot that the franchise desperately needs? eed for Speed has been around the block a few times. Hell I even remember playing the very first titles back on PC many, MANY years back (1995 to be precise!). After a few iterations and some twists and turns we come, once again, to the title Need for Speed. But can this update truly perform the high octane reboot that the franchise desperately needs? Some of the elements that really appealed in those halcyon days of Need For Speed (early 2000’s), when titles like Underground ruled the market, were the cheesy full motion video cutscenes, huge tuning options and great looking street racing. Developer Ghost Games made a great debut with their previous title, Need for Speed Rivals. This time out they’ve returned to the street racing and FMV of those earlier days in an attempt to elicit some of the euphoria of those previous titles. 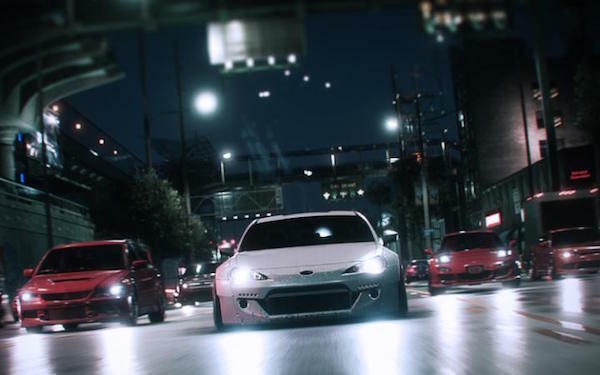 What we’re left with is a mash-up of several driving styles (time trials, drifting, gymkhana etc) with some street racing looks, finished with some video that will either appeal to you or turn you off completely. Let’s deal with the first thing that really hits you, the video and story. Playing as the up and coming racer you meet up with a local tuner gang and start hanging out with them. They each have their own styles of driving and you get introduced to these colourful, if a little single-dimensional, characters through the story. Firstly, the writing for the video sequences is all over the place. Ranging from terrible cliched dross to reasonable TV-movie material. The acting is solid enough, with the odd badly delivered line and wooden performance. That said the production values are solid, they truly committed to the look and feel. It’s a shame this offers little more than a distraction, and is something an in-engine series of cutscenes would likely have convery just as well, if not better. So, story and video aside; how does it drive? The answer is a resounding ‘OK’. The tuning offers you the ability to spend your hard earned racing cash in new trinkets for your rides. You can either adorn the vehicle with various cosmetic alterations or put all your cash into what’s under that fancy bodywork. The handling is very much arcade focused and the ability to tune your vehicle to be a certain ride style is great. I hate drifting, just can’t ever do it well enough in any game. So the ability to slide all the way to the right and give my car loads of grip was ideal for me. Others I’m sure will go the other way. What this did mean was that on certain events, like the drift challenges, my car wasn’t spec’d for the event at hand. This could be frustrating at later events as it meant a harder challenge than was necessary in an area I already disliked. 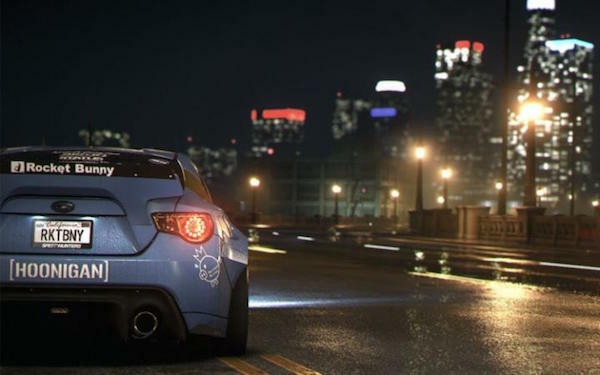 Again Need For Speed opts for some online modes. These are serviceable at best but mostly just offer a small amount of diversion. Seeing other racers taking on challenges or running from the cops is always a nice thing but it adds very little. In fact a couple of times it hindered an event I was actively participating in. As in previous titles if you want to do an event in multiplayer you just need to get a group to the starting line together. It’s a fun enough diversion but shallow. No matchmaking system exists either. For the most part the game offers a reasonable few hours of play. The city looks great and moves at a vast rate as you zip along. It even has some of the best wet roads in the business – everyone judges games by the best wet roads and night reflections still, right? Oh! And that’s one of the real issues with Need for Speed. It’s trying to recapture a games spirit from a time when 60% of the game was to look good and move fast. These days we need a little more substance with those looks. It almost feels like there was more to put in the game that got left out last minute. As it is the multiple races your friends invite you too, over your constantly active mobile phone, serve up a moderate distraction and the upgrade system dishes out rewards at a solid rate. It’s all good, just not great. Need For Speed is a solid racing title in the arcade format. The street racing and FMV aspects that made the series popular in the 2000’s have been put to good, if a little unexciting, use. The script work is laughable at times and you feel the pain of the actor having to deliver it. The game looks great and moves smoothly with, most importantly, a fantastic sense of speed. Driving is solid rather than reflexive and lack a little bit of the immediacy that Ghosts or earlier Criterion titles had. It’s a solid enough effort once again from Ghost Games, it just isn’t anything ‘special’. Need for Speed gets its job done and then checks out. It feels like it needed more content or a revamp of the tried and tested race types – even I notice that the Drift score mechanic needs a revamp! The game also suffers from some pretty bad rubber-banding from the AI cars. This can make some races frustrating to say the least. So one for series fans? Yes indeed. One for people looking for a casual driving experience? Sure. It’ll give you more than a few hours of reasonable arcade driving fun, just don’t expect it to last longer than the first 10 – 12 hours of play.